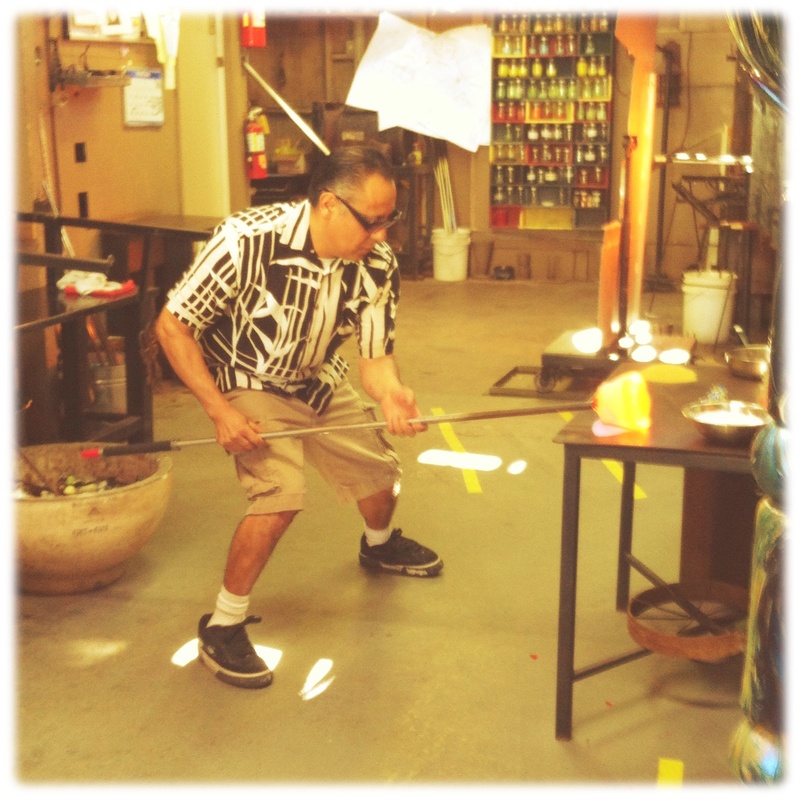 Recently we had a rare opportunity to watch a glass blower create amazing artwork. 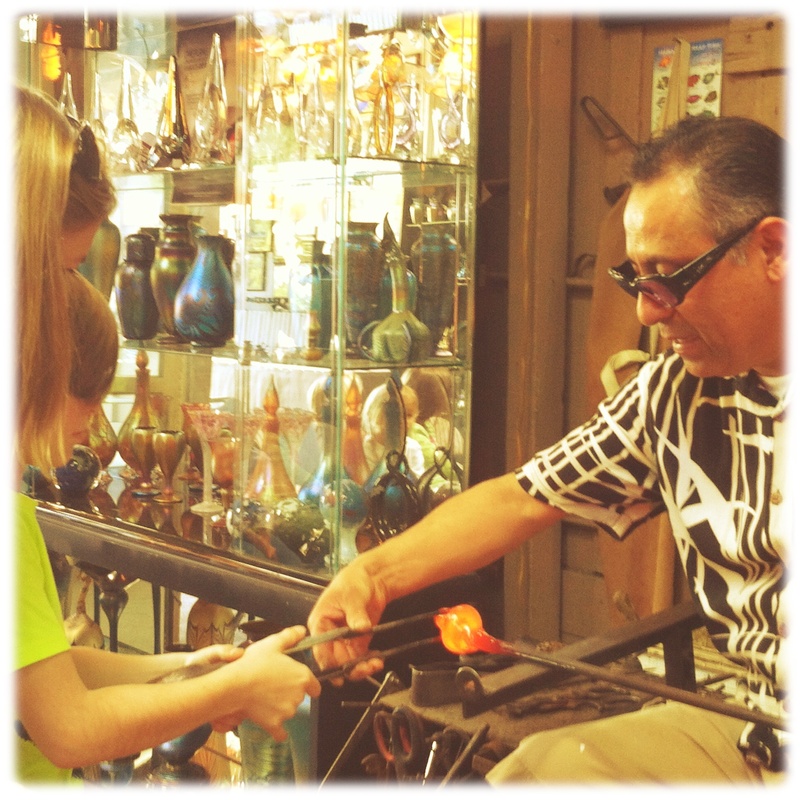 Saul (the glass blowing artist) and his wife Gina were both really kind gentle people who took the time to share this incredible craft with our kids. 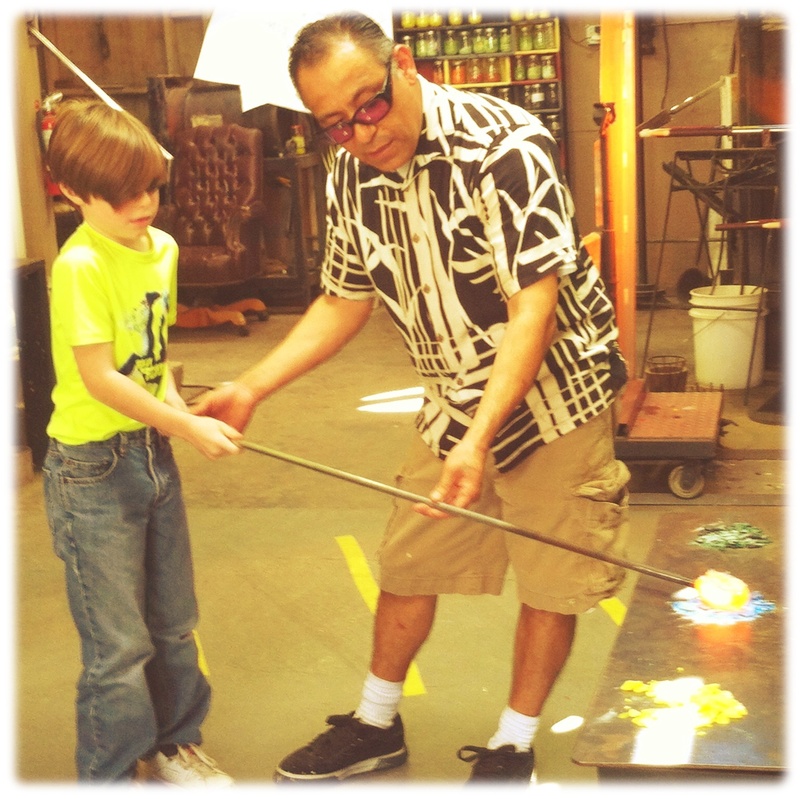 He showed the kids all his supplies, how he makes the various colors, how to add colors to the clear glass, showing us all the tools and ovens used to make his creations. (Which are VERY HOT! 2000+ degrees hot!) 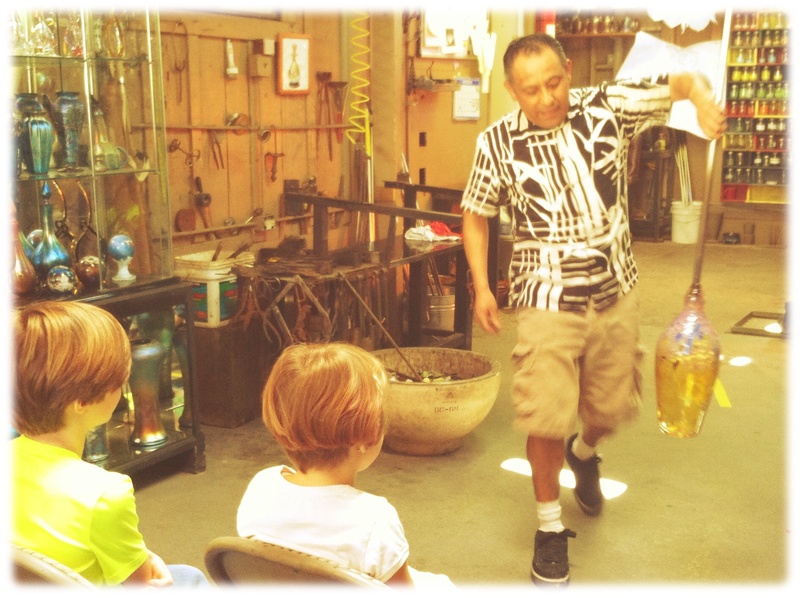 He also crafted a gorgeous vase for the kid’s demonstration so they could see a ball of scalding hot goo turn into a masterpiece before their very eyes from start to finish. 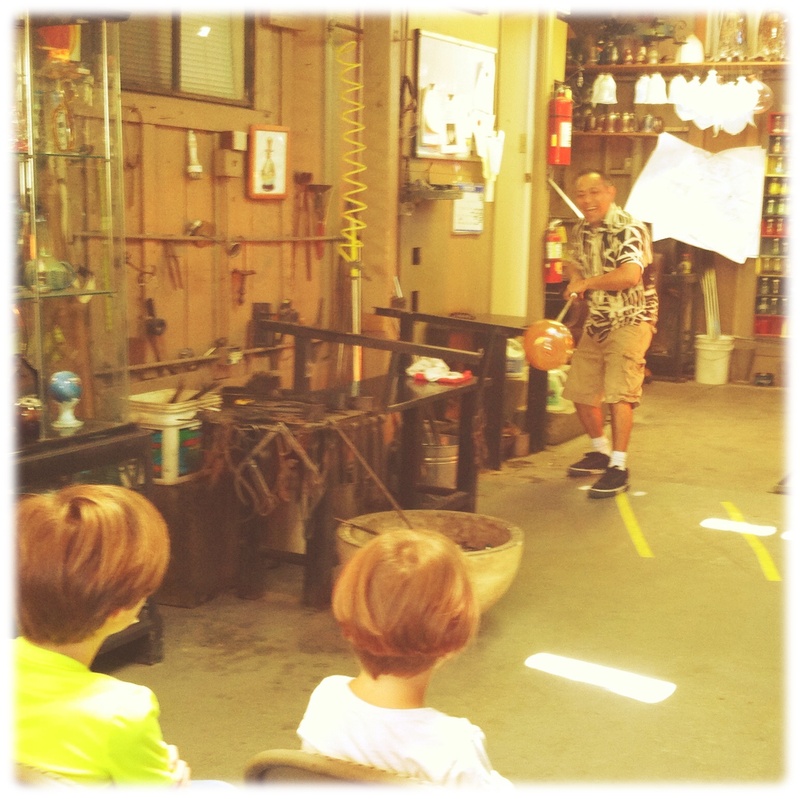 Saul is very humorous and entertaining for both the children and adults alike. 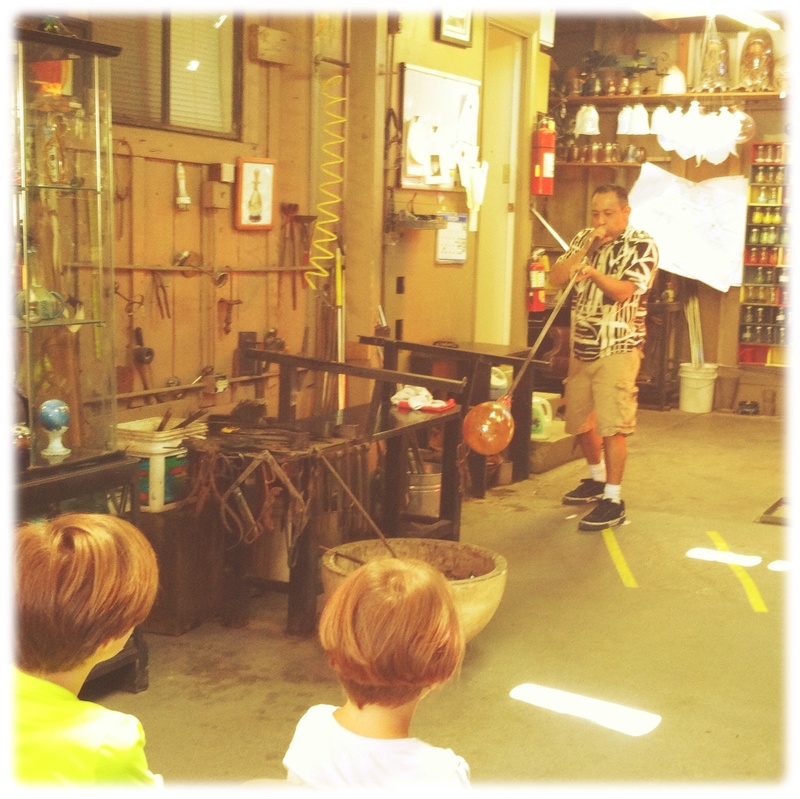 His demonstration was so captivating, my wiggly giggly kiddos were frozen like statues watching, learning and sucking in every aspect of glass blowing like little sponges. 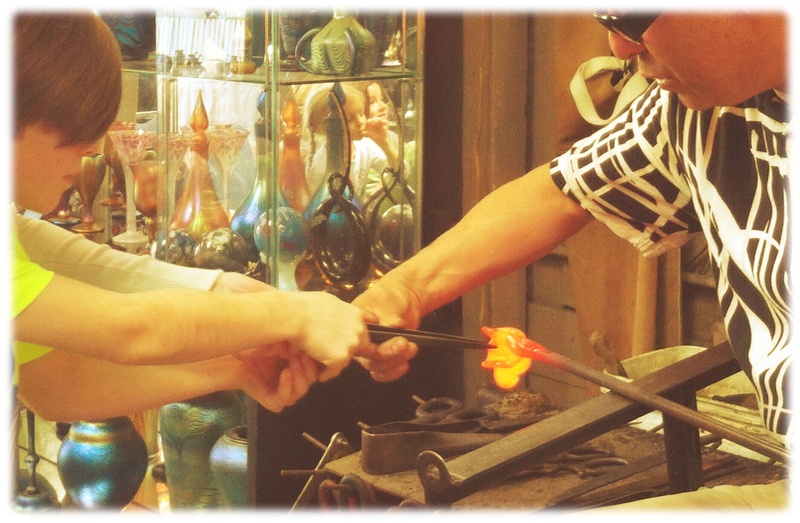 They enjoyed every second of the experience and were in complete awe! 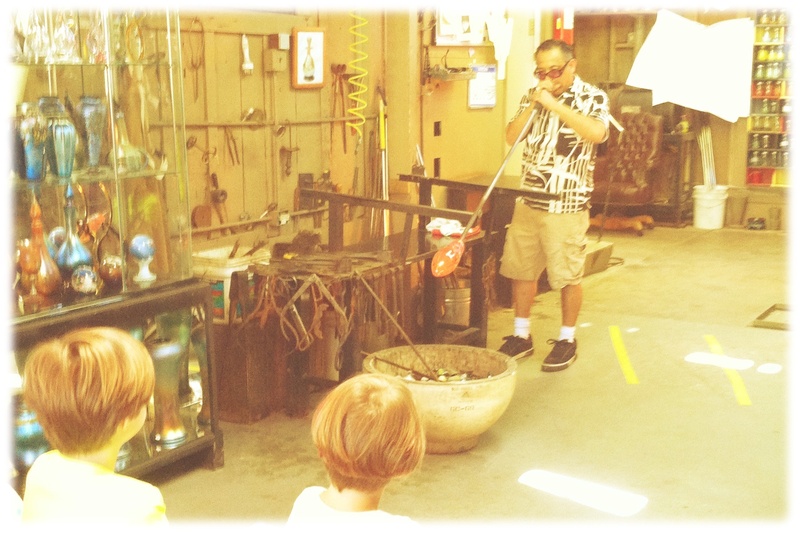 When he was finished with his demonstration, he took the time to let the kids create a piece of glass work themselves. He was very patient. Words can not describe how great he was with the kids. He is exactly what you would want in a mentor. My son was actually terrified at first of being burnt, but Saul was so good with my son; he was able to conquer his fears and create his bird. 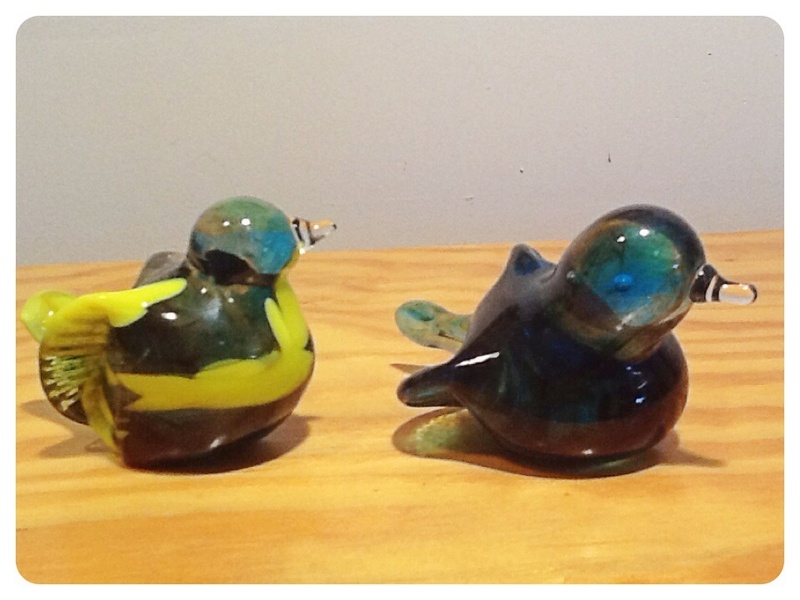 Both of my kiddos chose to make birds. 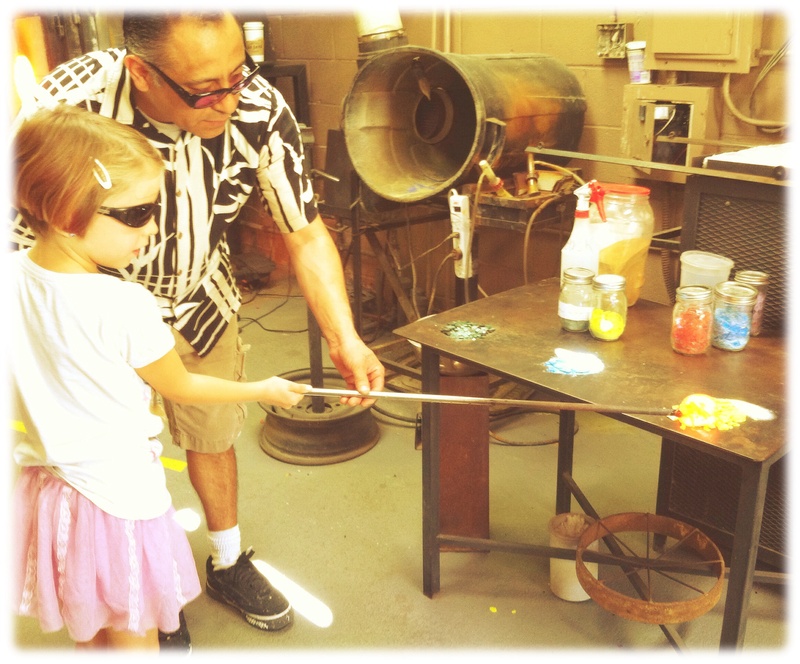 They were able to pick their colors, manipulate the glass goo ball, use his tools and literally create their very own piece of art. In this mother’s opinion, these two birds are priceless! As a home schooler, I was thrilled to find out Saul and his wife Gina home schooled their children who are now in college. 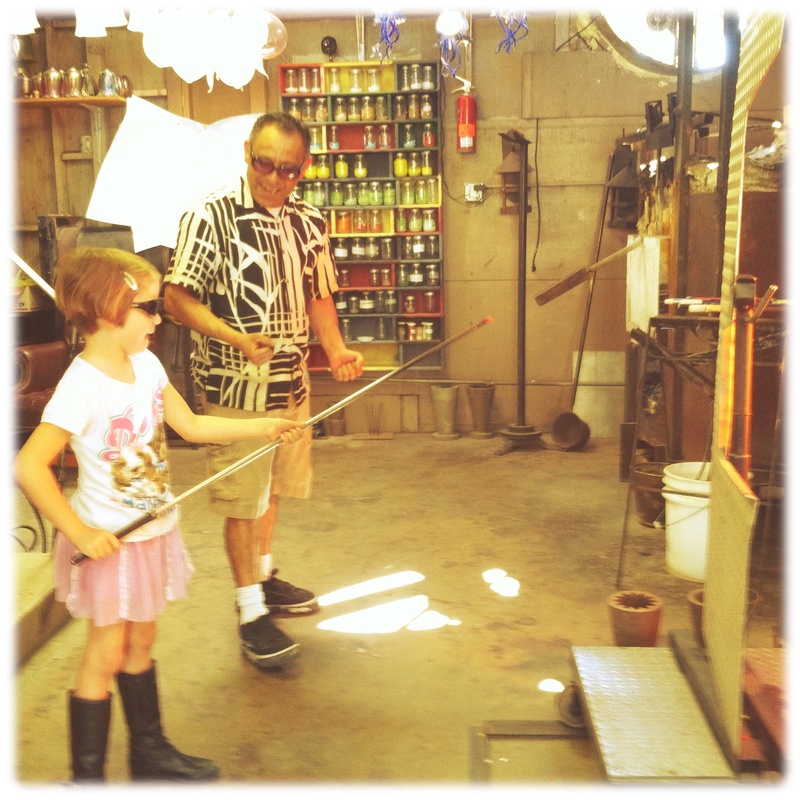 If you have the opportunity to see glass blowing I highly recommend it. « Do Homeschool Kids Miss Out? things out. I liuke what I see so now i’m following you.